Trout angling conditions from a boat have improved drastically and remains fair for shore anglers at Clear Creek Reservoir. 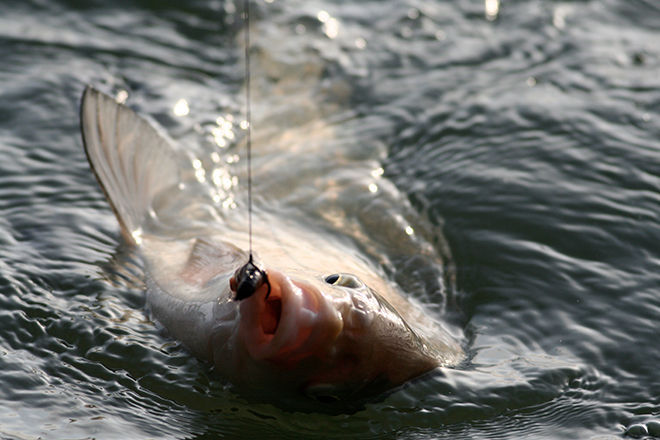 A majority of the anglers reported landing homogeneous groups of 8 to 12-inch rainbow trout. A few trout were caught on floating Rapalas from shore. Shore anglers also experienced success on a worm and bubble combination. The best boat fishing has been at the northeast corner of the reservoir. Trolling Black Panther Martins and Needlefish lures near the dam have been productive methods to land trout. Drifting a boat and casting Pistol Pete's at the southern part of the reservoir was an effective way to land trout as well. Kokanee salmon fishing from a boat remains slow. The reservoir is closed to trailer motorized watercrafts on Tuesdays and Wednesdays. Starting September 8, boating hours will be 7 a.m. to 5 p.m.